The tradition of tying salmon flies with feathers is a very old one, recorded in Ancient Greece, but the Victorians instilled artistry into salmon fly tying with their elaborate built-wing flies using feathers from a variety of exotic birds. After a period in which featherwing flies were eclipsed by those made from animal hairs and man-made materials, the popularity of these versatile feathers is resurging. This international guide features dressings from North America and Europe. The origins of patterns, precise dressings, and superb color illustrations will inspire fly tiers to attain new heights of achievement. 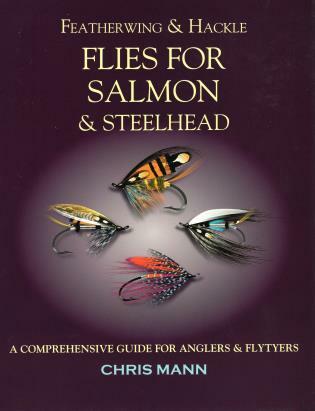 Chris Mann, a graphic designer, developed pioneering computer graphics of fishing flies for both this book and his critically acclaimed Beginner's Guide to Flytying. He lives in Cheltenham, England.